Baked Egg Muffin Cups: Perfect Keto Breakfast on the Go! I am a huge fan of wraps, burritos and anything that I can wrap into clean, easy to eat, portable deliciousness. So while I have experimented with my own low carb tortillas with decent success, I heard about all the buzz around NuCo’s Coconut Wraps which are only made of coconut meal and other coconut goodness (only 4g net carbs each!) and was on a mission to find them. And I did at my local Erewhon. Honestly, I don’t pop in Erewhon often because it’s a very expensive grocery store in a very trendy part of Los Angeles. However, they were literally the only store near me that carried this unicorn product and I had to have them. So I took my younger son, who lives for Erewhon sushi – I let him splurge today – and went on a quick trip to grab these wraps. I picked up the “Moringa” version – which is best translated as slightly sweet. I would have gone for the plain / original version, however the store didn’t carry them. Moringa is a plant-based superfood which adds some nice health benefits to these wraps, but from what I could tell after trying them, didn’t impact the taste. I also picked up the Cinnamon wraps and will be trying a breakfast crepe with them in the next few days too. Stay tuned! So, I decided to try and recreate my favorite shrimp burrito recipe with the Moringa / plain version…and it was not a disappointment AT ALL. The only thing is that the NuCo wraps are pricey – around $10 (at least at my local health food store in Los Angeles) for 5 wraps. I recommend using them sparingly for when you really need your burrito fix. We recently discovered NuCo's Coconut wraps which are a great sub for tortillas or other typically carby wraps. So we used them to make these delicious and quick low carb shrimp burritos! Feel free to use any low carb wrap you like - but we are seriously digging these! add chopped vegetables and remove from heat once shrimp is cooked through. Set your preferred low carb tortilla or wrap on a plate and place shrimp mixture in center of wrap. Add desired toppings: more onion, cabbage, cilantro, jalapenos, sour cream or cheese. Tightly wrap burrito by first folding in left and right sides and rolling tight from bottom to top. Serve with fresh pico de gallo and sour cream. Hi! I created Ketology after struggling for years with hormonal changes and weight gain. As I got older, I found managing my weight and moods became more and more of a struggle. Within 3 months of switching to a ketogenic lifestyle tailored for my age, I not only shed 30 pounds of stubborn fat, but my mood improved, my focus sharpened and I have had nothing but positive effects! Learn more about my journey here. ? 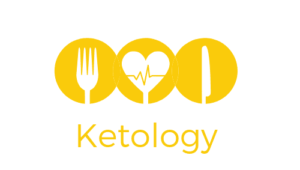 Ketology offers meal plans, recipes, tips and information to optimize health and well-being through a ketogenic lifestyle. Learn more about me here. DISCLAIMER: Results may vary from person to person.